Toronto: Coach House Press, 1983, 59 pp. I can't stand poems about poems, and find poems that refer back to Poetry even more unbearable. It's building on feathers, it's a closed loop that cancels itself out. Narcissus crooning in the pond. WHO CARES? 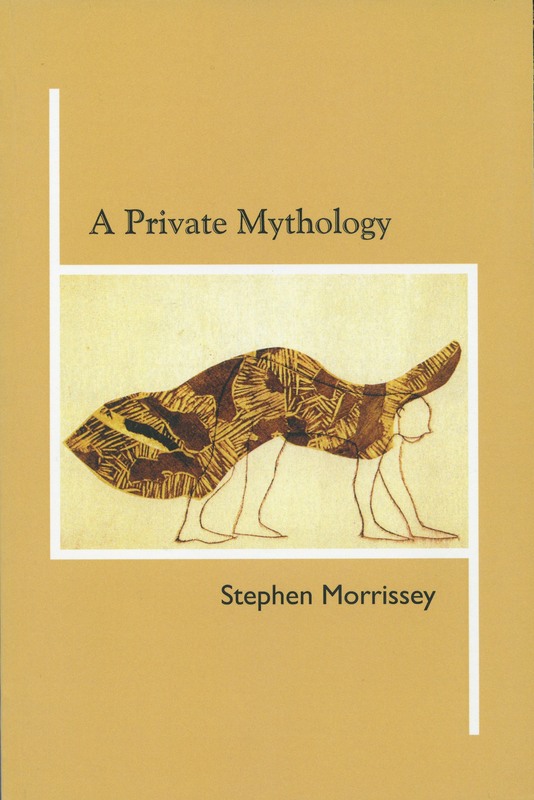 Stephen Morrissey has always had the penchant of writing poems about poetry, and I count that as Jumble Minus. In the title poem of this his second book, there is, in capitals: 'ONLY POETRY JUSTIFIES LANGUAGE." One has either to admire his guts for writing that or else laugh in the sentiment and chuck out the book. But let's take another look. These are very gentle poems, much more settled than those in his first book, The Trees of Unknowing. Here they remind me nothing so much as looking through all those those photo books in the library, the quiet documentary ones the NFB puts out, where the striking thing about the pictures is the competition between the people and their surroundings. Morrissey uses mostly short lines, down to one word a line, and spaces them out so the reading of the poem is slowed down; part of the reading is the placement of the poem's talk on largely empty pages. This is the way I imagined, say, the photographer Minor White would write. Spare, discretely organized, pared down to shape and notation where appropriate. In his poems Morrissey is not a trench digger nor a highpowered intellect by any means. His voice, his responses, even the landscapes in this book, are all personal ones, inside him. The way he expresses language and life naturally leads him to make pronouncements about art and poetry, in the poems, which in my view are definitely airy, and can't stomach without Bufferin. Be that as it may, I do feel I have had a pleasant sitting with Divisions.